The cargo on deck of Nikolay Filchenkov. Photo: Alper Böler. Used with permission. Nikolay Filchenkov made her second southbound passage in 20 days. Photo: Yörük Işık. Used with permission. Nikolay Filchenkov making her southbound passage. Note that she is heavier at aft. Photo: Yörük Işık. Used with permission. 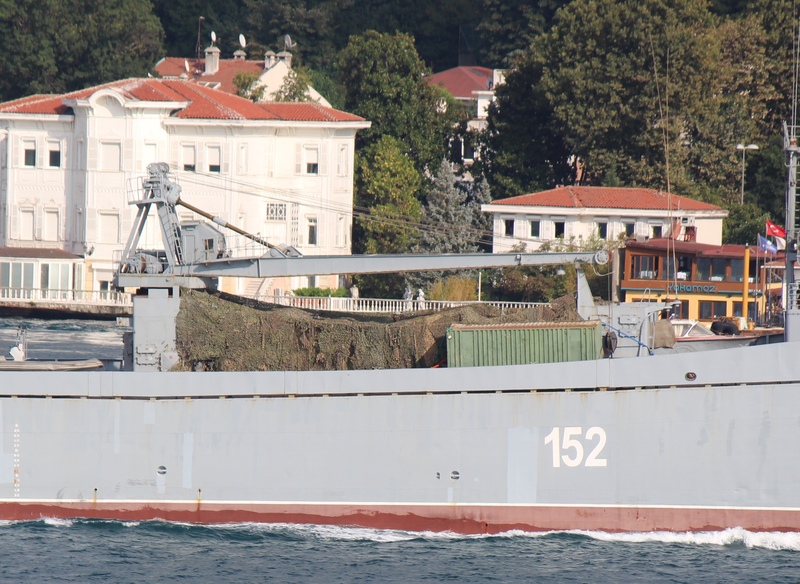 On 10 September 2015 the Russian Alligator class large landing ship Nikolay Filchenkov made another south bound passage through Turkish Straits. This is her second passage to the Mediterranean in 20 days. This was a faster turn around than usual. Like her last passage she had cargo on her deck again. 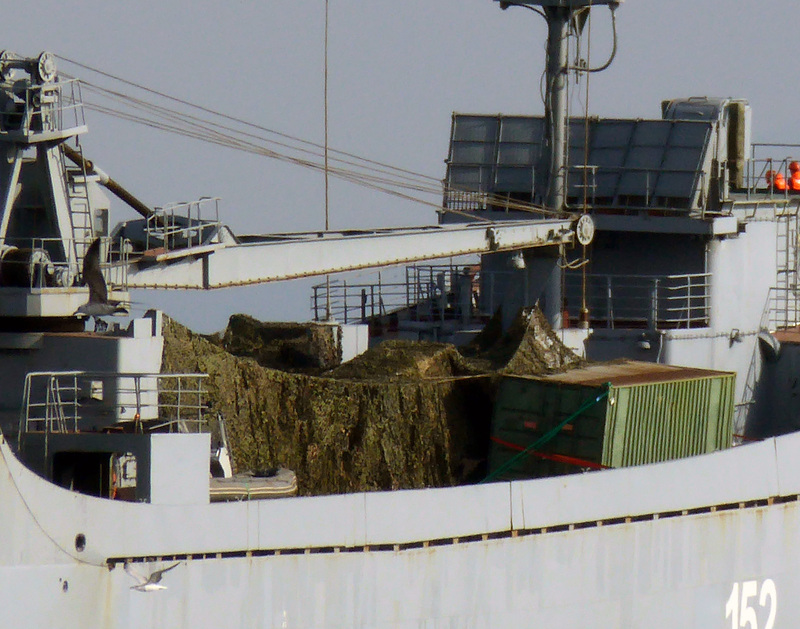 Apart from one 6 meter green shipping container and one small utility boat all cargo on deck was hidden under camouflage nets. 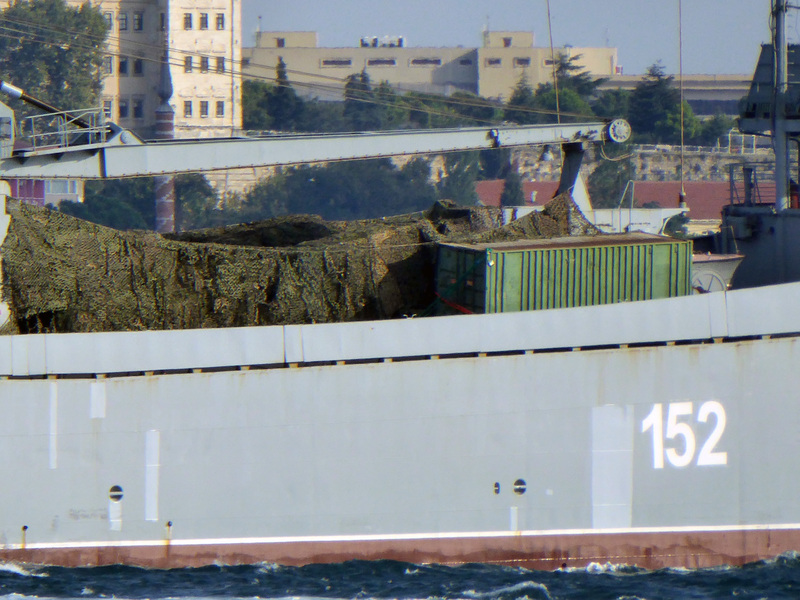 It is difficult to guess the hidden cargo on deck but it does not look like a land vehicle (to me at least). 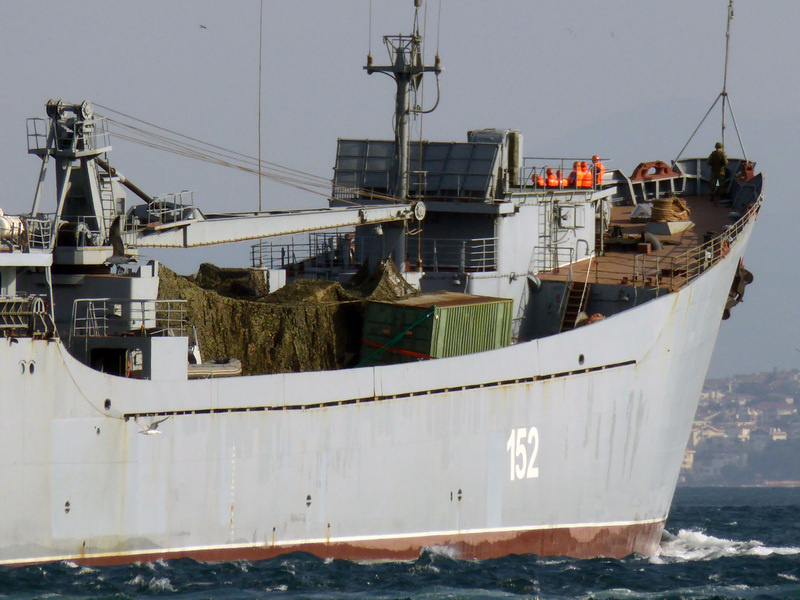 Between 20 August 2015 and 10 September 2015, 4 Ropucha class large landing ships and 1 Alligator class landing ship made their south bound passages through Turkish Straits in addition to The Nikolay Filchenkov’s two passages. In the first photo, under the cargo netting to the left of the uncovered lorry, could be a TOS-1 short range MLRS. Looks perhaps to be a TOS-1 short range MLRS vehicle under the nets next to the lorry. Good against troop fortifications, and mechanized troops. Wow they have 1 container on board. Seems so inefficient.